plastic balls GEWO Select Pro 40+ *** 72 pcs. 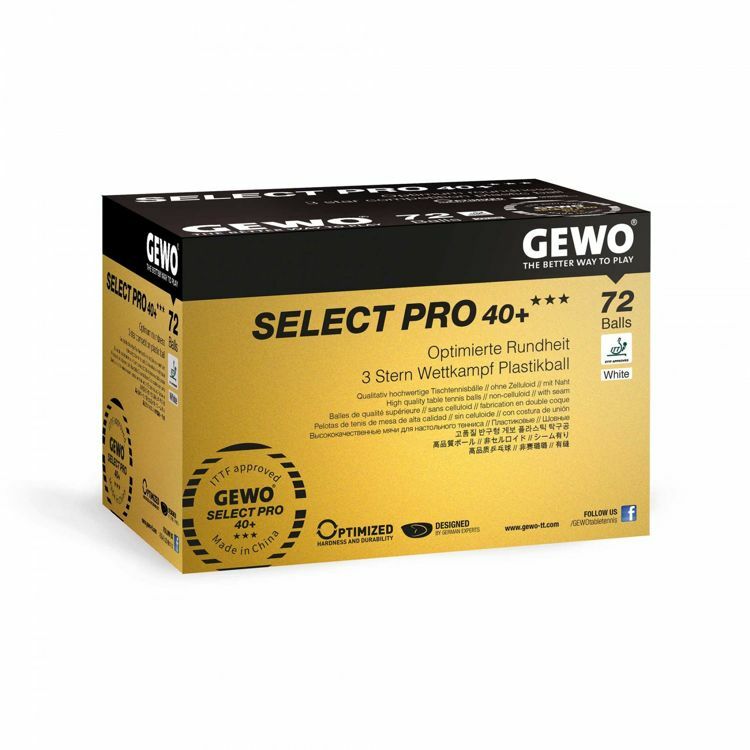 The GEWO Ball Select Pro 40+ *** guarantees lasting high ball quality, consistent ball-bouncing characteristics and significantly longer life compared to former ball generations. Competition ball, poly (ABS), with seam. No more insecurity. The GEWO Ball Select Pro 40+ *** guarantees lasting high ball quality, consistent ball-bouncing characteristics and significantly longer life compared to former ball generations. We use the most careful selection methods in the manufacturing process to guarantee uniform wall thickness and hardness resulting in improved durability and optimized playing features. ITTF-approved, high-end competition ball; developed based on ITTF-compliant raw material, acrylonitrile-butadiene-styrene copolymer (ABS). 72 pcs in box. Color: white. plastic balls GEWO Ultra SLP 40+ *** - 6 pcs. plastic balls GEWO Training Club 40+ ** 1 pcs. plastic balls GEWO Training Club 40+ ** 72 pcs. plastic balls GEWO Select Pro 40+ *** 3 pcs.